For years, I thought that Olaplex was only for those with coloured locks. 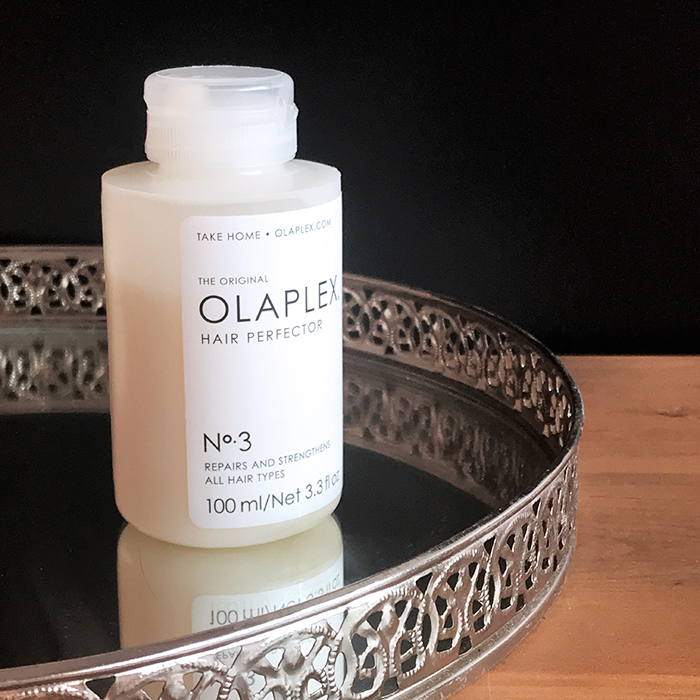 However, when I complained to my hairdresser about how much hair I was losing every time I shampooed my mane, she immediately handed me a bottle of the Olaplex Hair Perfector No.3 treatment. Here is my review. The treatment comes in a semi-opaque, squeezable plastic bottle with an attached cap. Since the price was on the steeper side, I was a tad disappointed to see how small the bottle actually was. The ingredients and directions for use are mentioned on a label at the back of the bottle. As instructed, I first used a clarifying shampoo to give my scalp and tresses a deep cleanse. After towel-drying my hair, I sectioned my damp locks into 2 parts and applied the formula on to my damp locks, from root to tip. Since my hair is on the longer side, I required 2 generous dollops. Whilst the texture isn’t as creamy as a conditioner or as light as a serum, the formula went on pretty easily. To distribute the product evenly, I ran a wide-tooth comb through my strands after putting it on. As the formula sets into hair, it leaves behind a stiff, sticky residue. Whilst the brand recommends leaving it on for a minimum of 10 minutes, my hairdresser had asked me to leave it on overnight. So, I pulled my hair back in a bun and went to sleep. The next morning, I rinsed the formula out and conditioned my hair as usual. My immediate reaction was one of delight. Overnight, my hair had become softer and smoother, without the usual signs of frizz. This was surprising as the bottle clearly states that the product is a bond builder and not a conditioner. After using it every week for a month, I’ve noticed that my hair fall has significantly decreased. Instead of changing the texture of my hair like a lot of products do, this one has enhanced my naturally wavy hair. My locks also feel stronger and look a lot healthier than they have in a long time. Powerful and effective, this hair treatment has officially made me a convert. I’ve already gifted a bottle to my mother and plan on doling out a few over Christmas! If you’ve tried it out, please share your experience with me in the comments below.